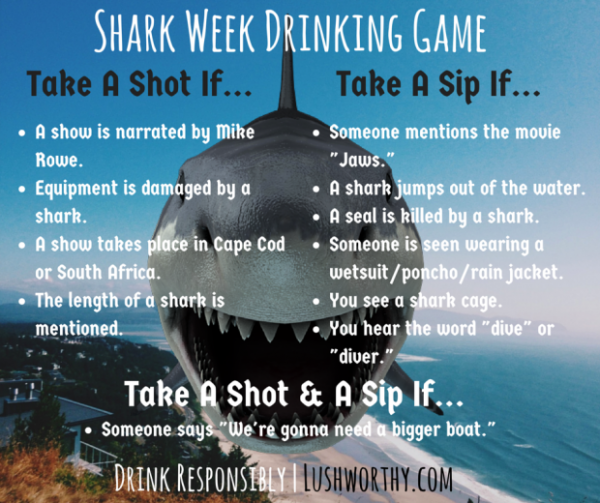 With Discovery Channel’s Shark Week extravaganza starting in a matter of hours, I took it upon myself to create my own drinking game inspired by Shark Week. So, grab a few friends, get your hands on a bottle of your favorite booze, and enjoy! And please do remember to drink responsibly. Cheers!